With $29.2 million in research expenditures in 2018, our department ranks among the top in annual expenditures among civil and environmental engineering programs nationwide, in large part thanks to our active research relationships with major civil firms, utilities, and government agencies. Our department is home to internationally-recognized leaders in risk and resilience. Specializing in flood and coastal risk management, faculty members work with government, industry, and academia to provide risk assessments, risk communication, and risk reduction strategies to help decision makers build communities better prepared for natural and man-made events. CEE environmental engineers are focused on understanding the fate of the organic and inorganic pollutants found in air, soil, and water and the role microbiology plays in driving those fates. 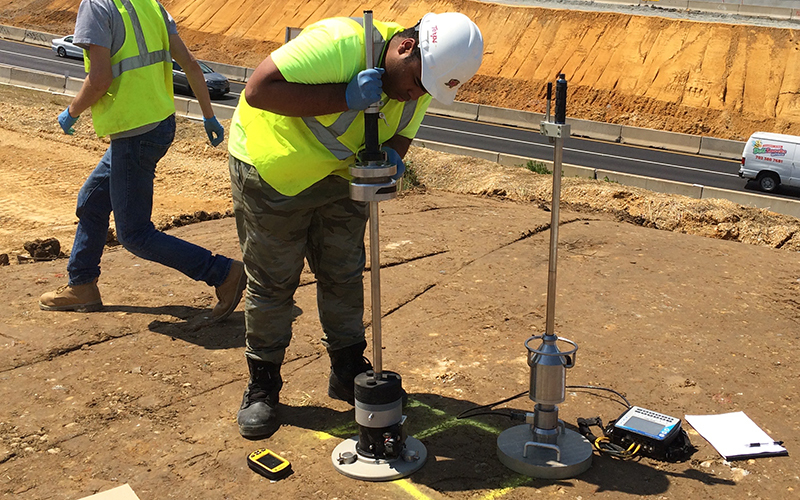 Researchers working in this area are advancing understanding of soil properties and behavior, earth retaining structures, geomechanics, highway and airfield pavement engineering, materials behavior, foundations, dynamics, earthquake engineering, nondestructive evaluation, and geoenvironmental engineering. Faculty working in project management are examining, developing, and applying innovative management and planning strategies with an emphasis on the interrelationships of life-cycle components. CEE structural engineers use cutting-edge computational and experimental methods to better design and build infrastructure to safely withstand natural and manmade forces. Research efforts feature core structures—buildings and bridges—as well as more complex systems like power plants, ships, and submarines. CEE boasts leading transportation experts, strong ties to industry and government agencies, and world-class facilities. Active research topics include smart cities and communities, next generation freight and logistics systems, connected and automated vehicles, and transportation big data analytics. CEE water resources faculty members are focused on the harvesting, cleaning, and protection of water resources—everything from streams to snow melt. Research is led by world-renowned faculty applying advanced engineering and statistical concepts to the modeling of surface and subsurface hydrologic processes.